The Douthit Hills development project has transformed 80 acres at the gateway to Clemson's campus into a vibrant, mixed use, pedestrian-oriented environment. 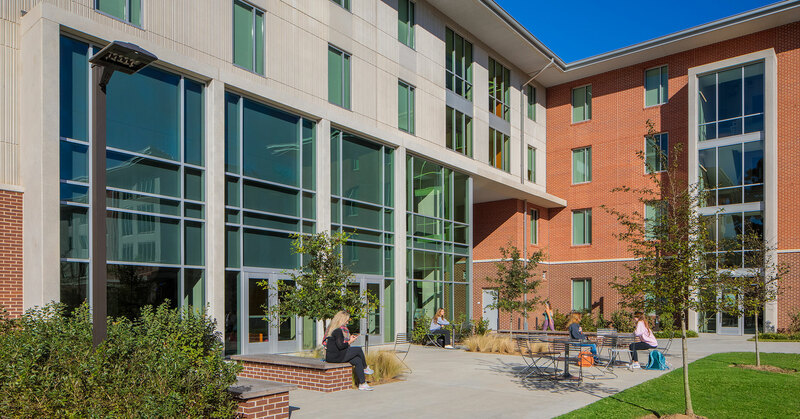 Seven housing buidings anchored by a central Hub are situated along a series of interconnected outdoor spaces with views toward Clemson's landmark, Tillman Hall. 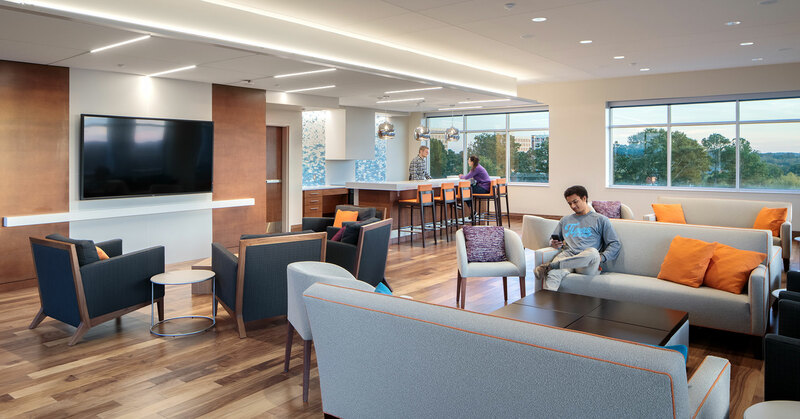 The Hub, striking and transparent, showcases the activity of a student recreation center, a 450-seat dining hall, a Barnes and Noble Bookstore, Starbucks Coffee, a convenience store, and a Freshens. 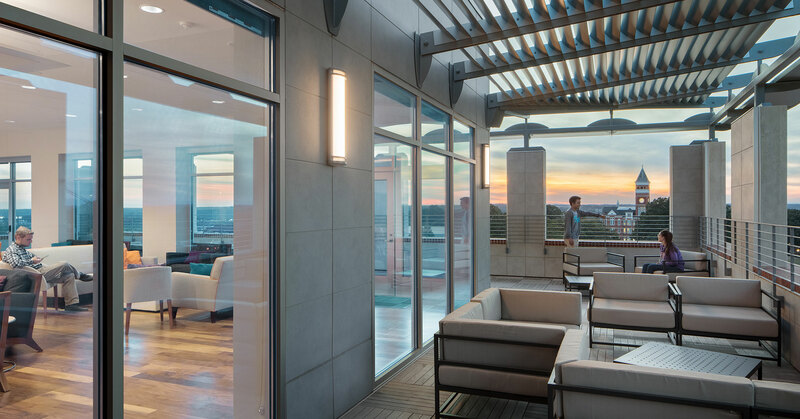 The project is a highly collaborative effort including Ayers Saint Gross and Clark Nexsen, and is LEED Silver Goal.